Yesterday part of London was on lock down following a flurry of reports of shots being fired. There was mass panic as people fled for their safety. Yes, terrorism is a dreadful, awful thing, and we are all now perhaps not as comfortable in our surroundings as we once were - but that doesn't mean that we can't identify humour within events, either. And as a northerner, I can say with certainty that beer in London is bloody expensive! 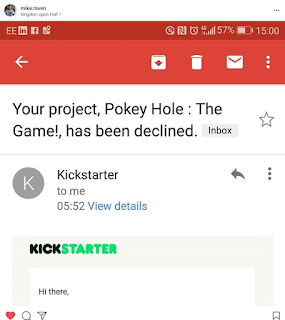 And Pokey Hole, the campaign that Kickstarter tried to stop, is still live too, just £1 will get you a digital copy of the rules for Pokey Hole! 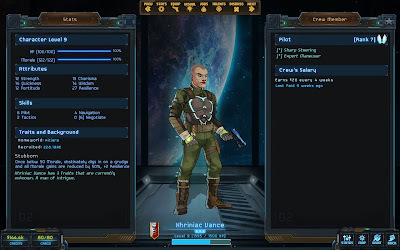 I've been playing a huge amount of Star Traders: Frontiers these last few days, so thought I'd do a blog about it. 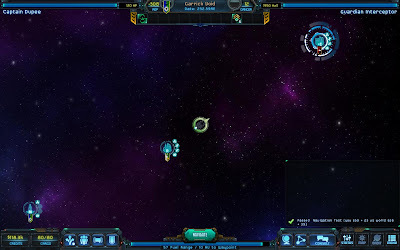 Star Traders: Frontiers is the latest game from Trese Brothers, an indie game development studio that over the years has released a number of popular games for both mobile and PC via Steam. Star Traders: Frontiers is the latest evolution of their Star Traders series, where you fly a spaceship around, tackling various challenging missions, in the meantime handling threats such as pirates and opposition factions. You have to carefully consider how you want to play, whether you're going to be a friendly merchant, making regular, if limited, money punting materials around - and being a tasty target for pirates - or perhaps a tougher sort of captain, not necessarily able to cart around as much valuable cargo but able to bring bad guys to justice. Or you could just be one of the bad guys and blow everyone out of the sky. This would be my captain, Captain Dupee. He has a big sword. 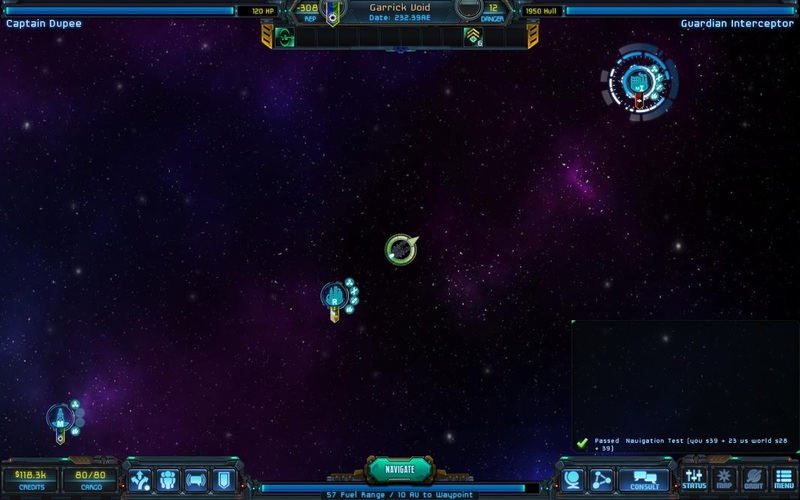 A great deal of time is spent travelling from planet to planet, as you can imagine, luckily the game's well set up to keep track of what missions you have on at the moment, and where you need to go. It's worth pointing out that the game is in Steam's Early Access programme, so there are still bugs being ironed out - one of which that I seem to have is old missions hanging around even after being completed - but the bugs don't generally detract from the game. 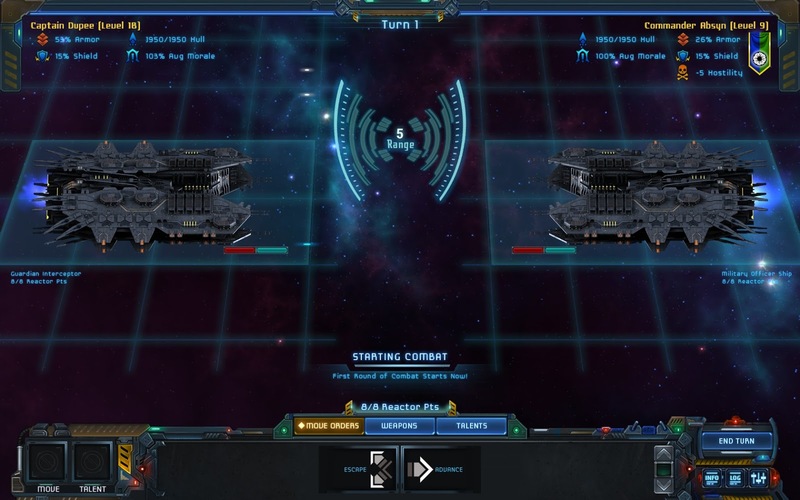 Starting ship to ship combat. 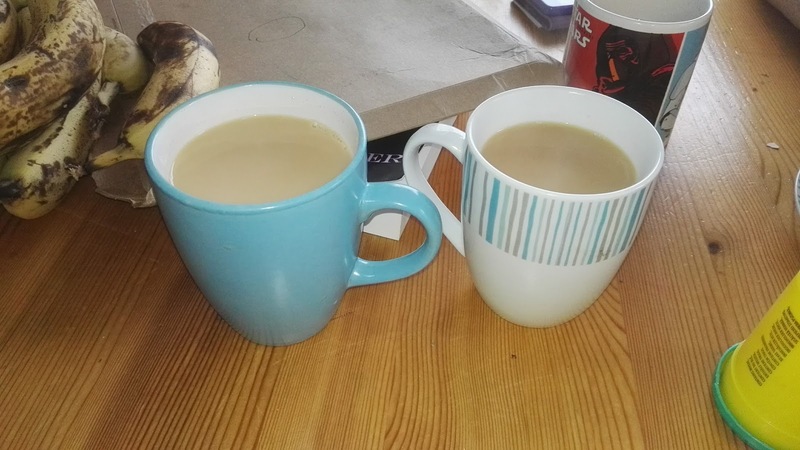 I'm the one on the left, by the way. Suffice to say, I clicked some buttons, and the other ship blew up. 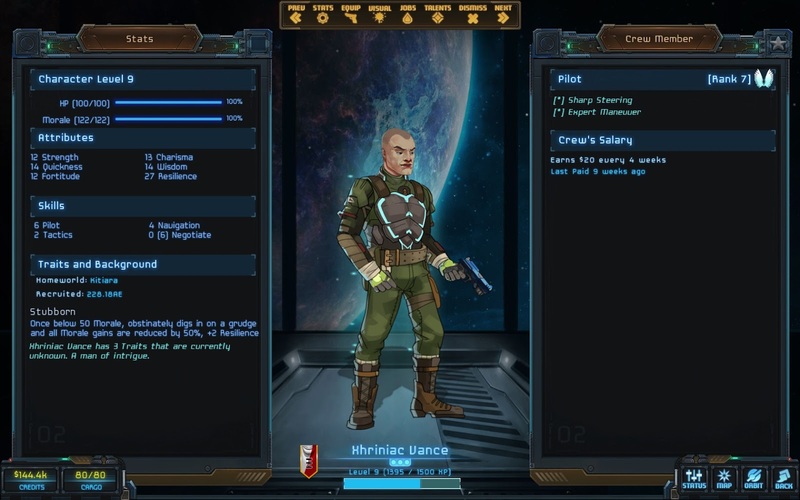 One of the features I particularly like is the ability to carry out various tasks while in planetary orbit, such as Patrol, Blockade, or Spy. 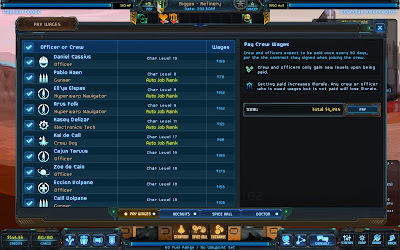 Each of these gives the player opportunities to obtain certain benefits - for example, Patrolling a planet hopefully leaves a good impression on the faction controlling the planet, whilst Spying gives you the chance to grab valuable intel data to sell to your preferred contact. 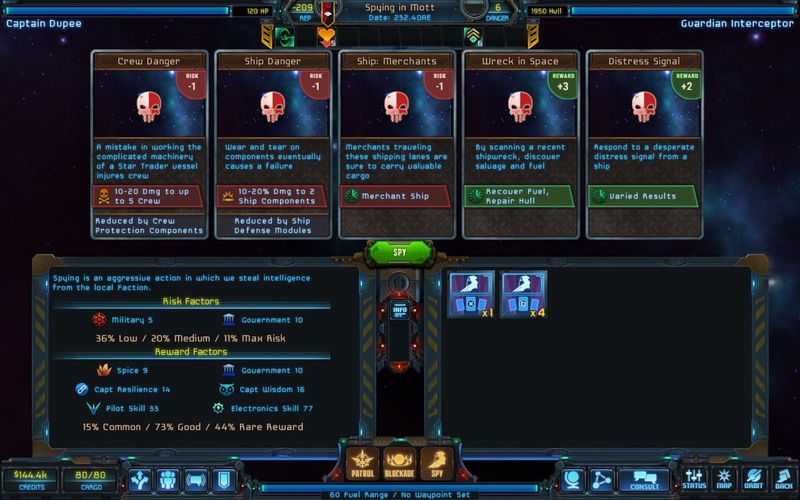 These tasks work by dealing five cards (which can be good or bad), and at random one of the five cards takes effect, although you can use the abilities of your crew to try to avoid the worst events. Here I am spying on someone. Hopefully I might get something good... or I might just get a load of my crew injured. Fingers crossed! 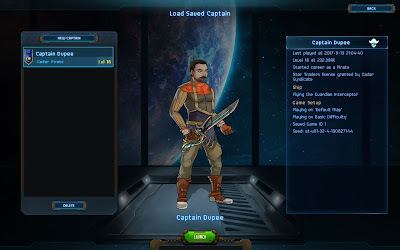 You'll spend a lot of time also down on planets (and also various space outposts), refuelling, repairing, upgrading, buying and selling goods, and, a particularly important part of the game, managing your crew. 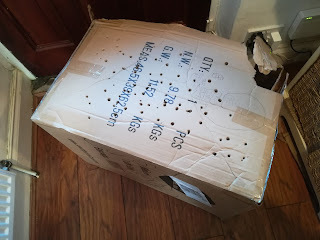 You've got a pack of hardy spacers on board your ship, and if you aren't treating them right, they'll take every opportunity to flee the ship when you put in to port, or even rise up in mutiny. The game has a lot of impressive graphics such as this, which you totally forget about when you're busy playing! It's very nice. 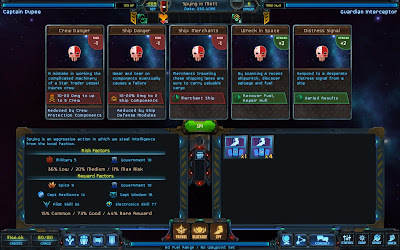 Providing that you look after your crew, they'll stay with you and gain abilities and talents on the way, becoming more useful as time goes on. Think this guy is wearing lipstick. But hey, he's piloting my ship, if that's what he wants to do I'm not going to stop him. 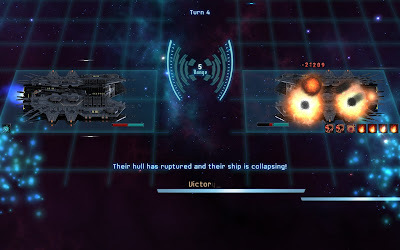 Less often you'll get into crew combat, where selected crew members face off against pirates, scavengers, or even aliens. It's a good day to die. For the other side, that is. Not mine. 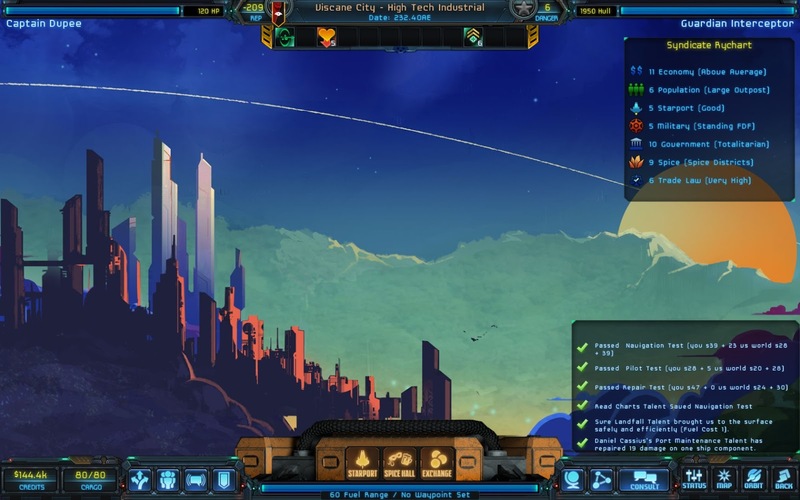 You can also spend time exploring wildernesses on unexplored worlds, which is usually very dangerous but can allow you to discover some valuable items not usually available. 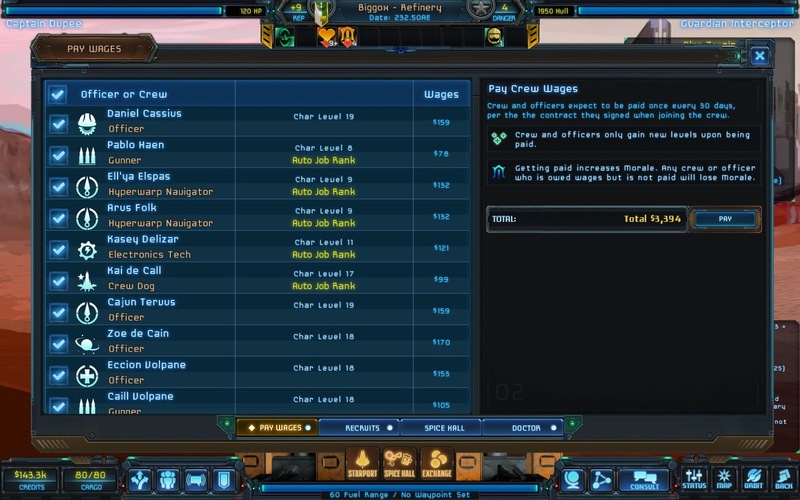 Time to pay my crew. 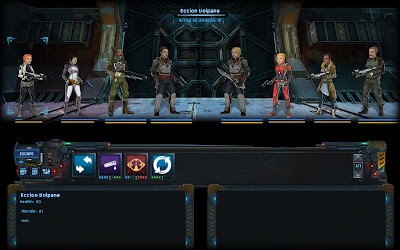 There's a great deal of depth to the game, with various characters that you meet and work with, furthering the story line, and you get to choose which ones you want to support. You'll also build up a database of contacts on various worlds, which you'll need in order to access specialist military equipment, black markets, rare goods, and additional missions. So, I have to say that this game is well worth shelling out for. If you like space exploration, some good storylines, a bit of fun and challenge, check out Star Traders: Frontiers. My son summoned me one morning this week, saying "Daddy, come, I've got a game for us to play!" And the game was Pokey Hole. 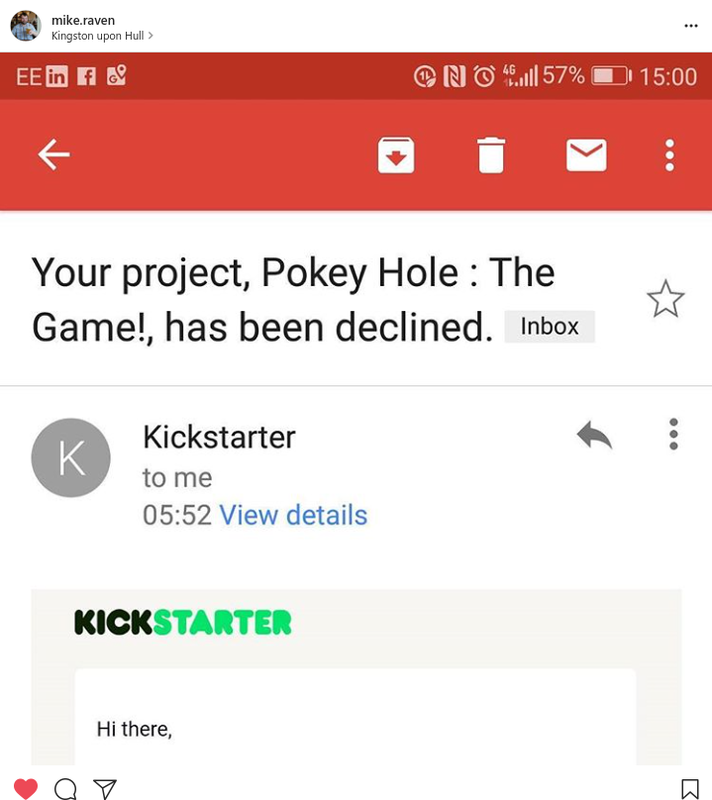 It was so much fun that I made a Kickstarter campaign to support me in my efforts to codify the official rules of pokey hole. So, I went to the crowdfunding platform that I've used in the past - Indiegogo. I'm sorry for doubting you Indiegogo, their green letters caught my eye briefly, but now I'm back. And the Pokey Hole campaign. IS. NOW. LIVE. Also, watch the official Pokey Hole Trailer now! A standard crowdfunding strategy is to create a buzz in social media before your campaign goes live, so that people are excited and looking forward to it. This is my Sennheiser PC 350 headset. Without doubt the Sennheiser headset has been the best of all the headsets I've owned over the years, if for nothing else than the amount of time you can use it without your ears feeling like they've been squashed by a tractor. Plus, I won them by dancing on stage (the video is out there somewhere should you really wish to see...) which is far better than paying for them. 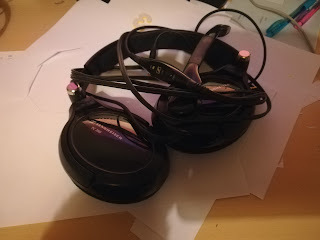 The Sennheiser headset was a last reminder to a time gone by, when I used to go to LAN parties (where a load of gamers meet up for a long weekend gaming and not sleeping), and I had what at the time was some high end kit - I had a Logitech G15 keyboard, with its own little LED screen, and also my beloved Logitech G5 mouse which was absolutely awesome and lasted almost as long as my headset. I do still have some relatively decent computing gear, but I've not taken any of it to a LAN party or any sort of gaming event, and my gaming now tends to be more the social kind, or an hour or so on Call of Duty, whereas I used to happily sink tens of hours into World of Warcraft. Sadly now, however, the microphone has died and the headphones are flaky at best - which after seven years isn't too bad really. I've got a cheap headset for the time being but I'll certainly be looking for something more like my old headset for the long term. I'm getting warnings about the upcoming PPI deadline - which is now a mere 22 months away. For those perhaps not in the UK (I've no idea if this is an international phenomenon), Payment Protection Insurance is a product that companies have over the years endeavoured to sell to anyone that took out a loan or a credit card, and basically protects them in case something bad happens (they lose their job, become ill, get their leg eaten by aliens etc). And there's been a scandal over the past few years that PPI was "missold" to consumers, for example giving people the impression that it was an essential part of the loan repayments. 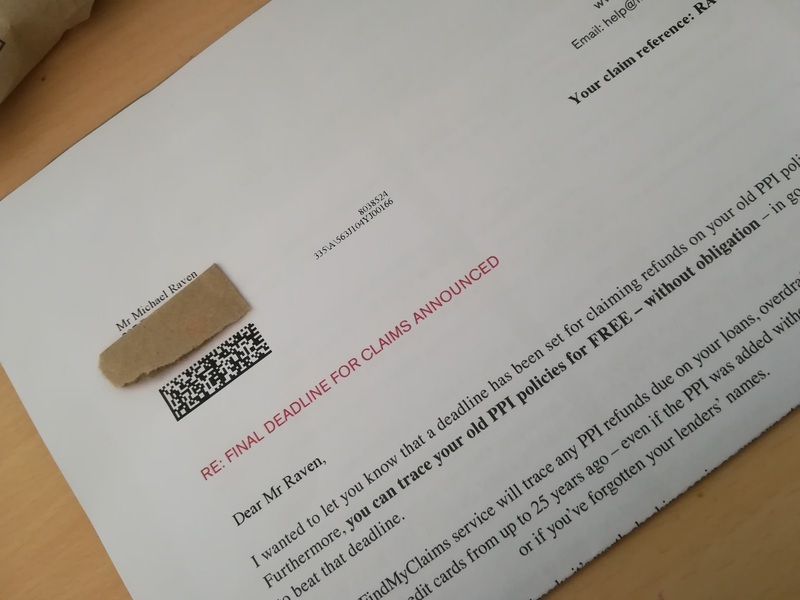 I had Payment Protection Insurance once, on one loan, and years ago the loan provider wrote to me, highlighted that they may have missold me PPI, and sent me a cheque for the amount I spent on PPI, plus insurance. Job done. "Hi, is this Mike Raven?" The above conversation apparently was enough to register me on their database as someone who wanted PPI recovering (with a huge chunk of the repayment going to the financial recovery firm, no doubt) and meant that I received ever more frantic text messages begging me to give them all of my financial details so that they could hunt down my non-existent PPI. I'm forced to have a permanent telephone line to my house in order to receive my internet service, however I have not had a telephone plugged in for years, because the only calls I ever received on the landline was for PPI (occasionally with other useful calls asking if I wanted double glazing, house insurance, to give a charity I'd never heard of money, or perhaps to enquire if I owned an abattoir that required repainting). That's not to say, of course, that I don't get calls on my mobile about PPI.